Mass surveillance is illegitimate. I'm taking steps to take my freedoms back and I expect governments and corporations to follow in my footsteps and take steps to stop all mass government surveillance. After you sign, protect yourself here. These apps are the easiest ways to protect yourself and make mass surveillance more difficult. ChatSecure gives you secure chat with Google and XMPP users. 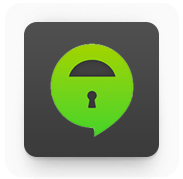 TextSecure is strong, easy-to-use protection for your text messages. Strong privacy for your phone calls, whenever you need it. Cryptocat makes chatting in secure groups easy and fun. Securing your passwords is key to protecting yourself online. It takes minutes; do it now! Are you using the same password everywhere? If so, change it, starting with your email account. Use a tool like MasterPassword or write it down. Add a second layer of protection to your accounts on Google, Facebook, Twitter, Yahoo, Dropbox, and other services with 2-factor authentication. Securing your chats is easy. So is private, anonymous browsing. Try both. Encrypted chats for Facebook, Google, Duck Duck Go, and more. 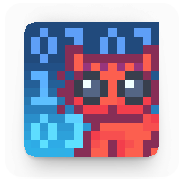 Cryptocat is a fun app for having encrypted chats with your friends. Secure chats is pretty easy on Windows. Private, anonymous browsing is easier. Try both. GNU/Linux users probably have these tools already. If not, install them with your package manager! 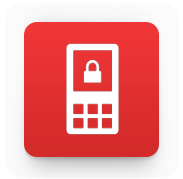 Encrypt your phone and choose a 10 digit PIN, too, for very strong protection if your phone is lost, stolen, or seized. Firefox syncs your passwords securely, and lets you install privacy-protecting extensions like Adblock Plus, Noscript, and HTTPS Everywhere. Don't trust carriers. Buy your Android phone directly from Google, or if you're tech savvy, install Cyanogen. Orbot and Orweb let you browse the web privately and anonymously with Tor. For savvy users, K-9 and APG let you send encrypted emails. Use a PIN on your iPhone for better legal protection against searches, and some protection against thieves. Filevault is built-in, and protects you if your Mac is lost, stolen, or seized. Turn on Filevault. For savvy users, Thunderbird and Enigmail let you encrypt your emails. Tails is a USB-bootable operating system for privacy and anonymity. Try it! Many GNU/Linux distributions provide support for Full Disk Encryption. Instructions for Ubuntu. GNU/Linux users, install all these tools from your favorite package manager. Re: Pidgin and Adium, if you believe you may be the specific target of surveillance, these aren't the tools for you. Pidgin has had a large number of remotely exploitable vulnerabilites recently, and auditors looking at the code believe there are likely to be many more. Still, these tools are effective against passive mass surveillance, and they're unusually easy to use. Cryptocat is not a magic bullet. Even though Cryptocat provides useful encryption, you should never trust any piece of software with your life, and Cryptocat is no exception. Cryptocat does not mask your IP address or hide your identity, and, like all software, cannot fully protect against a targeted attack on your person or electronics. This page was made in consultation with technologists and activists at the Electronic Frontier Foundation, and their contribution was invaluable. Thanks EFF! Wondering why we didn't include (insert app here)? Read our criteria for these recommendations.